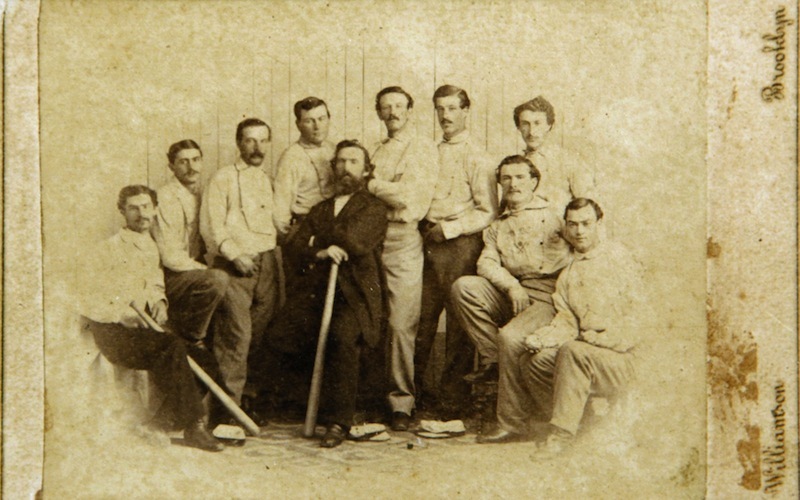 This 1865 card of the Brooklyn Atlantics was found by a picker in Baileyville and will be auctioned off at the Saco River Auction Company on February 6. There are only two of the cards known to exist and the other is in the Library of Congress. The Brooklyn Atlantics card was found late last year by an antiques picker in Baileyville, a town of about 1,700 residents in Washington County, 300 miles from LeBlanc’s home in Newburyport, Mass. This entry was posted in History, News Media by McD. Bookmark the permalink.